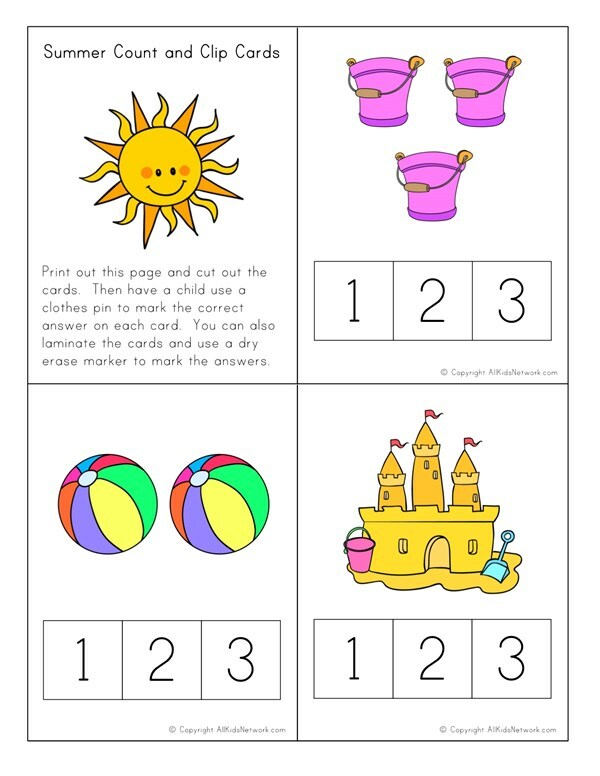 These summer themed count and clip cards are the perfect activity for young children that are learning to count and develop their fine motor skills. Print the pages out and then children can help cut out the cards. Then ask kids to count the summer pictures in each card and clip a clothespin to the correct number. This will help them practice their ability to manipulate the clothespin as well as the counting practice. Laminate the cards for longer use or to have kids circle the correct answers with a dry erase marker.